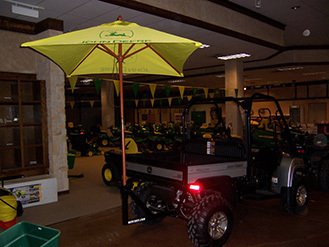 · Take shade with you anywhere using a standard size beach or patio umbrella! · On the job, at the beach, or just tailgating in style! · These type of umbrellas are available at your local stores such as Walmart, Target, Home Depot, Lowe’s, Etc. or online.